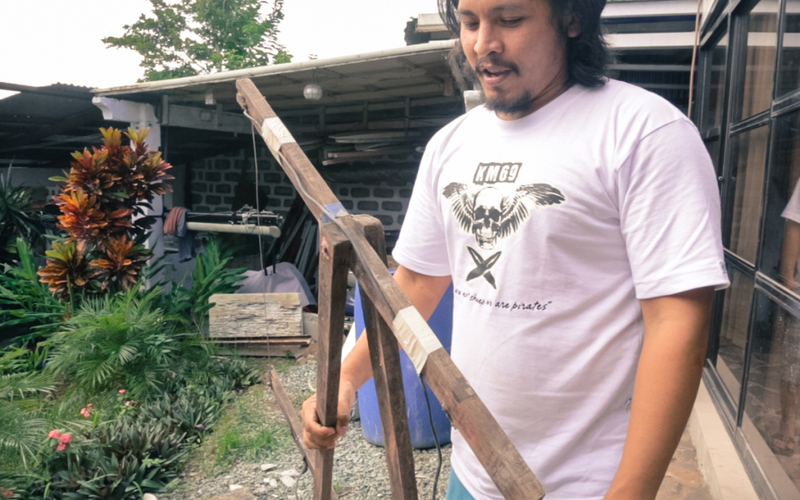 Last week, we went to visit surfboard-shaper James of Kilomoter 69. He was kind enough to let us shoot his process and even let us have lunch – amazing roast chicken and sukiyaki cooked by his mom! James holding his homemade styro cutter that he’s been using since the beginning. Two wires attached to a wooden frame, short by a car battery. 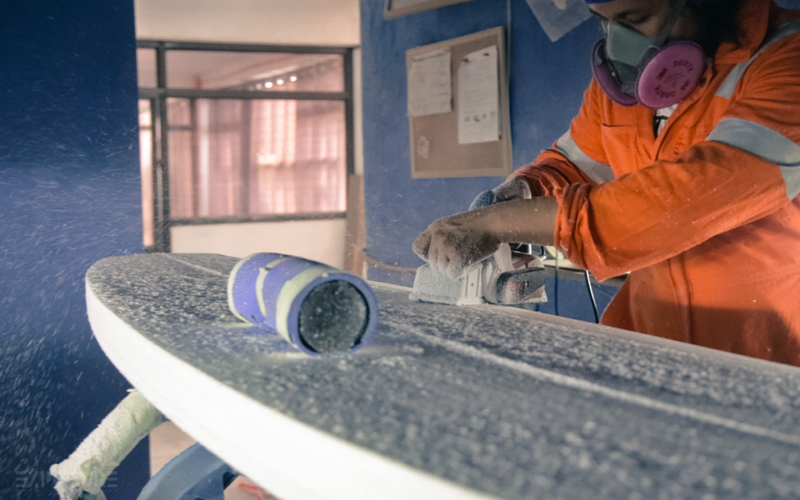 KM69’s apprentice Lloyd and Angel cutting the board. Lifting the bottom bit of the block, revealing the cut board. KM69 glassing area, the floor is sticky! When we started shooting the shaping process, styro-flakes are everywhere. My throat started itching, and my nose was tempted to sneeze. James revealed that he didn’t start wearing protective mask and clothes until just recently, when he noticed that his cough wouldn’t go away. Peter donning a proper Filipino sweat rag, the Good Morning towel. Dodgy mustache courtesy of Movember. 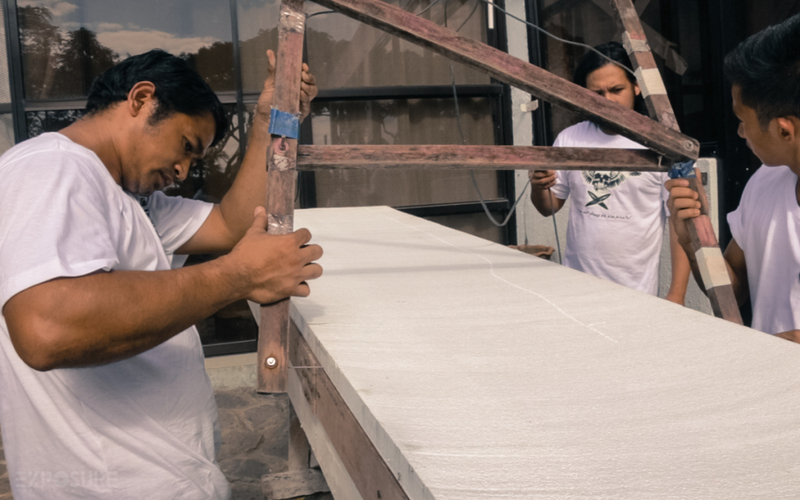 Surfing in the Philippines is getting bigger. I wouldn’t have thought there would be a surfing scene here in Philippines. But we’ve been hearing a lot of surf spots in Batangas, Siargao, La Union, Baler and even in Palawan! 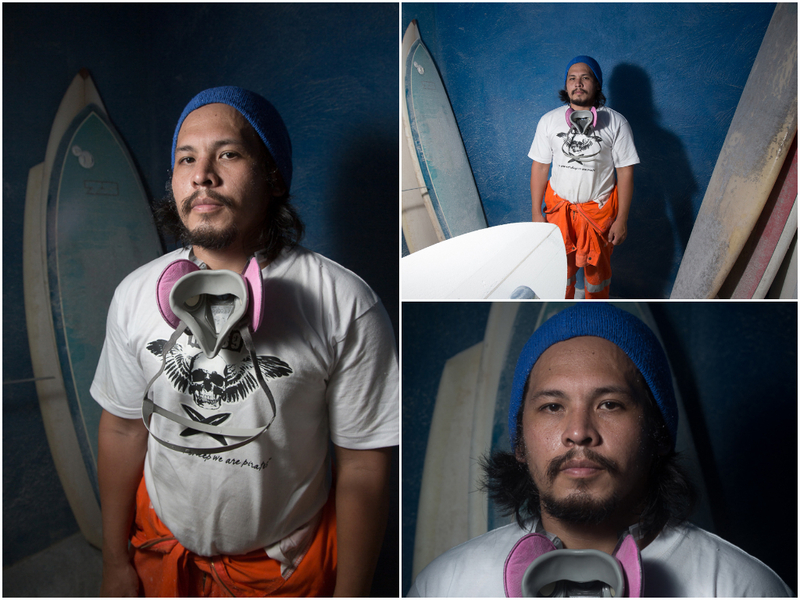 I’ve tried surfing twice, in San Juan, La Union. Because it’s just 1.5 hour drive from my hometown in Pangasinan. 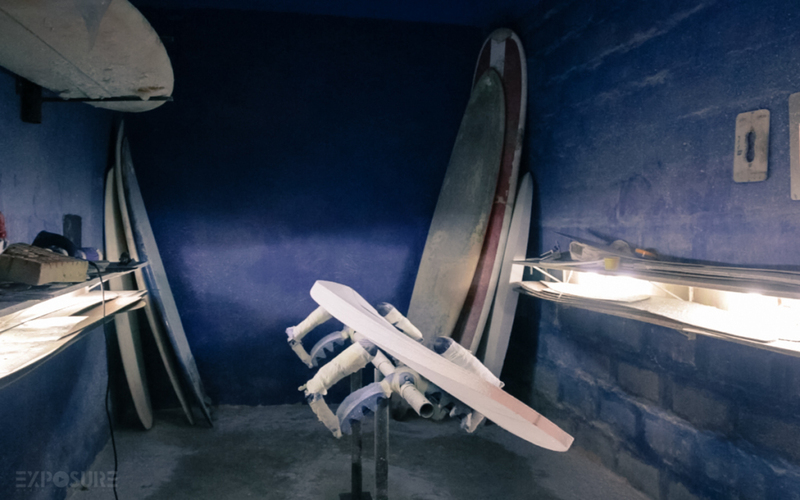 There are more surfboard shapers here, hopefully we get to meet them someday. It was a really great learning experience filming at KM 69. 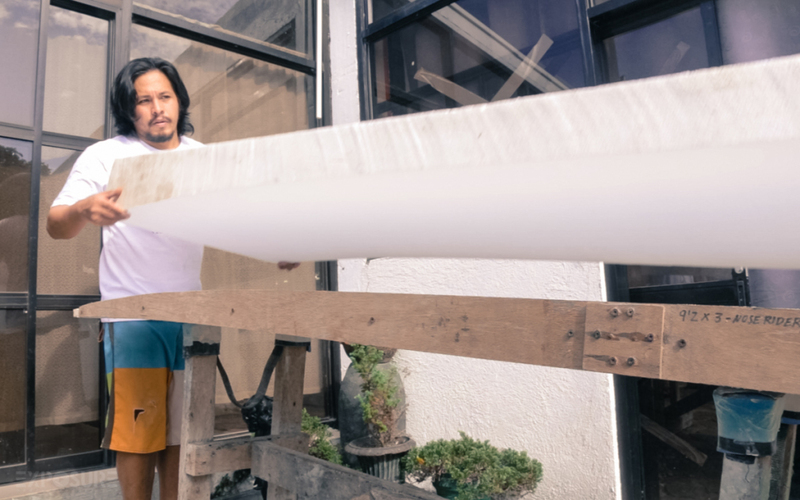 Similar to the Katipunan Craft Ales shoot we did earlier this year, I learnt a tremendous amount about how a product was made. 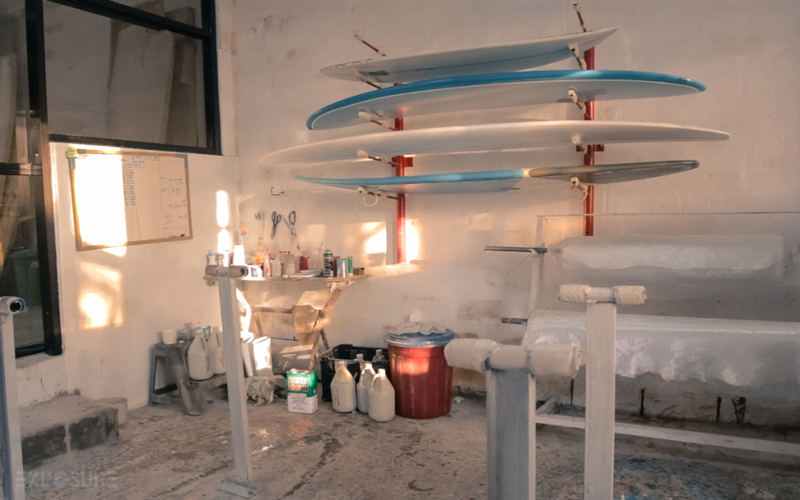 This time it was how a surfboard is fabricated and shaped out of a block of polystyrene. It was fascinating to see James take a block of material and then cut, shape, file and plane it down to get a specific shape determined by the customer. I love watching people make things by hand as you can tell it’s dedication and years of practice as everything looks so easy. In a world where most things are made by machines and are mass produced there really is something truly special about something that is hand crafted by a person. That’s sort of what the message I was trying to get across in this video that making something by hand by someone is special and that I’d like the world to be a place where more people bought objects and items that are made by hand by people who are passionate about what they do and not cheaply mass produced disposable objects. As well as making a short video we also took a few portraits of James in his shaping room. It was a really nice location although we did need a basic lighting setup up. We usually carry a couple of speed lights and an umbreall to most shoots and that’s all we used to make these images. Just one speed-light going through a shoot through umbrella camera left. I would have liked more time but we’d already shot the video and I didn’t want to take up anymore of James’s time. I’m happy with the left hand portrait as I think the colours really work and James looks good. As this wasn’t a documentary or a journalistic project I decided I’d experiment with grading our video footage. I’m quite happy with the results although I’ve still got plenty to learn it was nice to start playing around with colour palettes and creating a certain look and feel for a video. 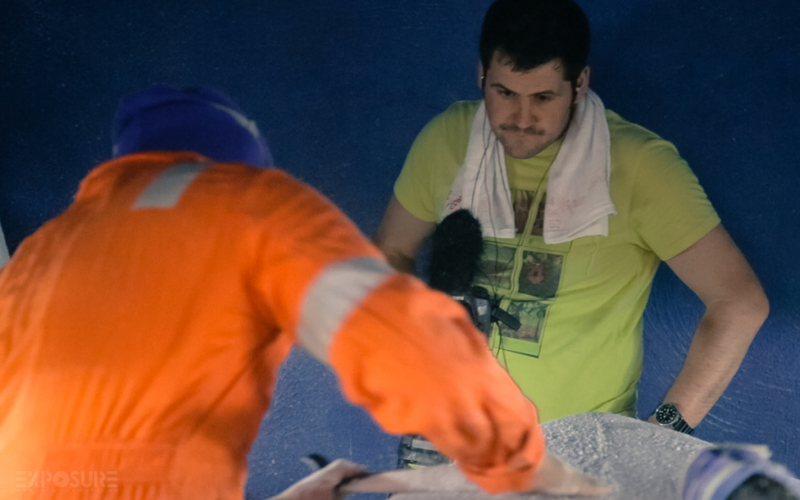 We are not yet quite finished with the video as we still have another shoot to film James glassing one of the boards but it should be online in the next coming weeks.